Offering a contemporary spin on a classic, this heeled shoe from Top End is the perfect blend of edgy and elegant. 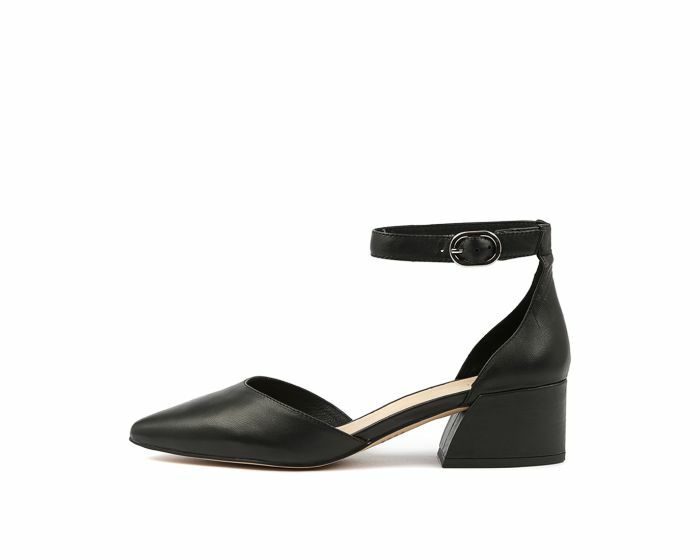 Set on a curved block heel, this gorgeous design is composed of soft leather and features a flattering pointed toe shape as well as an adjustable ankle strap. An ideal option for work or play, you'll have this versatile style on high rotation in no time!